The seeds of an idea. 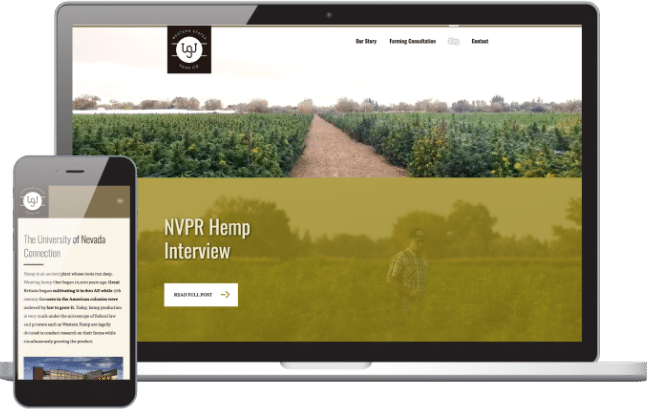 Building the Western States Hemp brand through design and digital media. 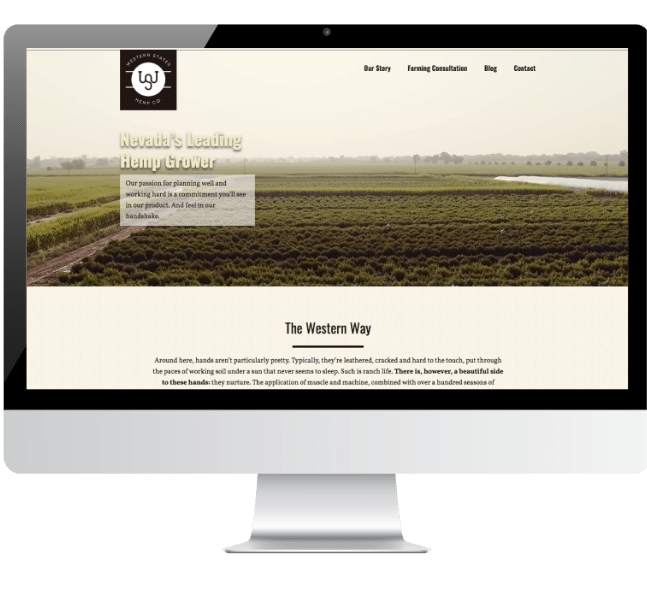 When a life-long farming family transitioned from alfalfa to hemp, they needed a marketing team that could embark on the adventure with them, a Reno design firm with cannabis marketing experience who could devise an effective, intelligent website content plan. Old school has a new principal. It started as a seed. One small seed from Bulgaria. One high-quality hemp seed that became a plant, which — in the spring of 2018 — fostered more plants, which in turn became fields of green that have prospered in the soils and sun of Nevada. 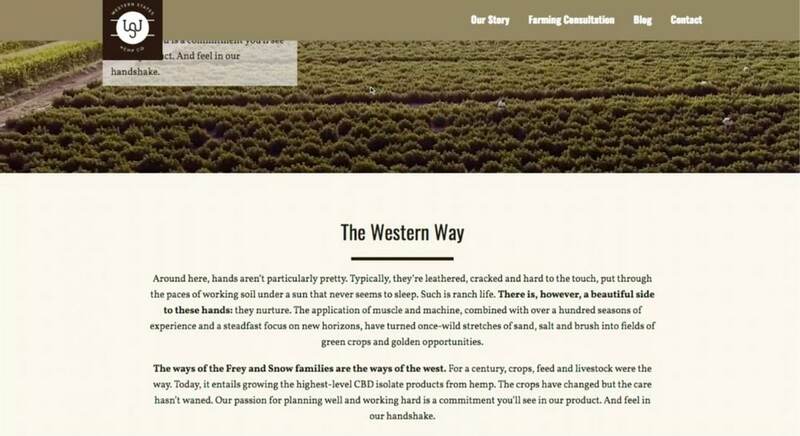 They were farmers who had the dirt, the drive and the will to make reality of their dream. More importantly, they had something they were unaware of: a brilliant story of determination and collaboration. We could see the story in their faces and hear it in their voices. Through brand identity, videos, photography and written content, we’re sharing that story with the world.